LATEST RING MODEL WITH METAL STAR DESIGNED. Home » lifestyle » LATEST RING MODEL WITH METAL STAR DESIGNED. 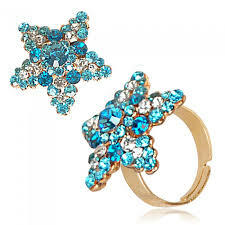 The Metal Star shaped ring jewellery are the latest model upcoming in the market. The brand name called Wnice and it is established in China. Alloy is the main material used. A model number consists of AF01473. It is suitable for engagement bands or rings, gift, parties, anniversary, wedding and so on. The main stone used are crystal and Rhinestone and color contains antique silver plating. The logo of the design known as custom. The details of packages said to be 1pc/0pp bag, 12pcs/dozen. It will be delivered within 15-35 days after settled the amount. If you need to order the particular design select the item model number and order the ring to the Wenice Jewelry Co.Ltd. The shipment facility also arrived by DHL/EMS/OPS/FEDEX/TNT/Shipping/etc. The FOB price said to be US $0.9-1.5/piece. The payment will also done through L/C, T/T, Western Union, Money Gram. Keywords: Wenice Jewelry Co.Ltd, logo custom, Metal Star shaped Ring, AF01473, Alloy.